ELMACO produces three phase oil immersed power transformers, core type, continuous operationand natural cooling (ONAN ) and / or forced cooling ( ONAF ) . 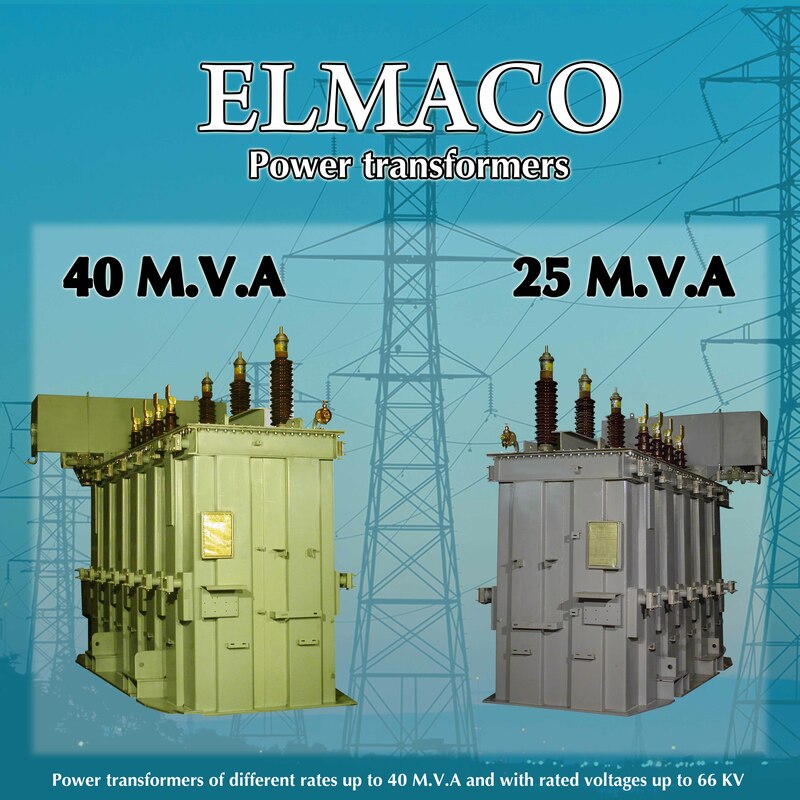 ELMACO power transformers are free breathing with conservator for indoor and outdoor installation, with rating up to 40 MVA and with rated voltage up to 66 KV single and dual voltages , 50 Hz or 60 Hz with all different connection groups. Power transformers are equipped with either off circuit or on load tap changers connected to the high voltage side with different tapping ranges. Transformers can be equipped with all normal accessories. Special accessories can be also added on request. Cable and boxes for low voltage can be provided. Transformer tanks can be manufactured as tank walls and radiators. The tank is designed to withstand complete atmospheric pressure ( 1 bar ). Insulating materials used in the windings and the clamping structure, are of high temperature resistant and have a comparatively small volume.